Real Italian Feast at La Mia Mamma, Chelsea - Kat Got Your Tongue? We all love pasta don’t we? 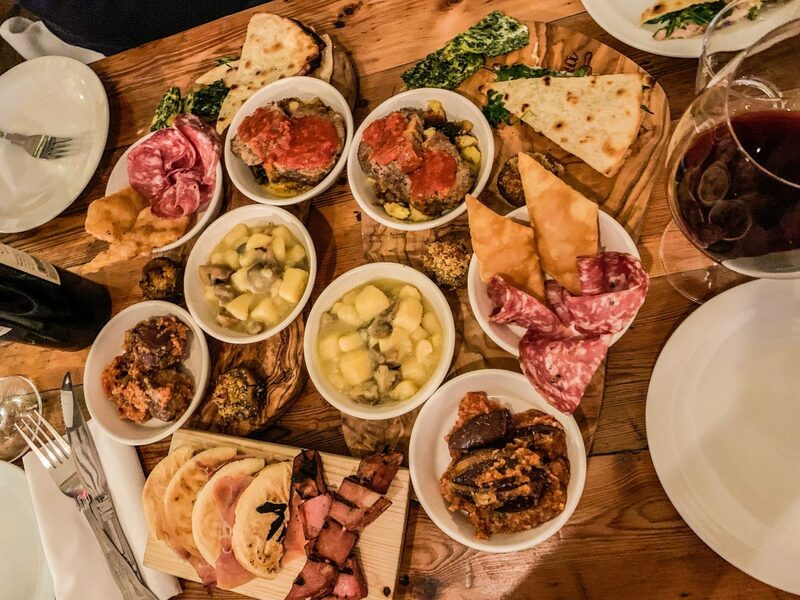 There’s nothing better than a real Italian feast, and that is precisely what we received at La Mia Mamma in Chelsea. La Mia Mamma offers up real, homemade Italian food, cooked freshly for you every day by their group of real Italian Mammas of all ages! I can confidently say that they served up the best authentic Italian food I’ve tasted outside of Italy. 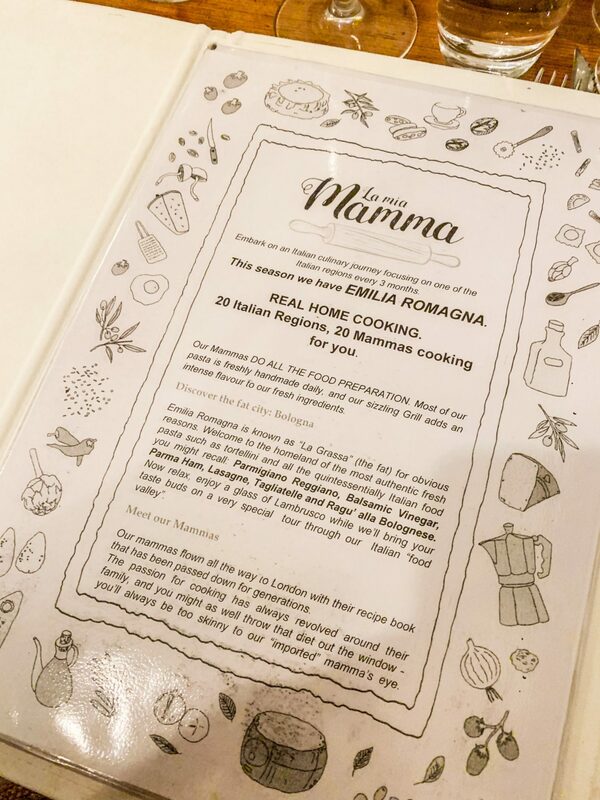 The experience was very much like sitting in the Mamma’s own kitchen, with a proper family feel. 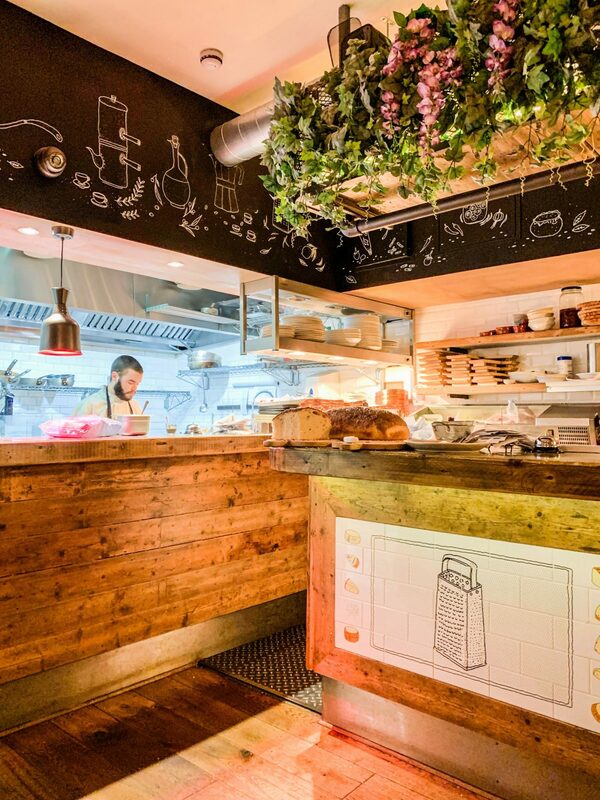 I insisted we visit after reading Rosie’s review of La Mia Mamma over on The Londoner – and we weren’t disappointed! Let me show you inside! 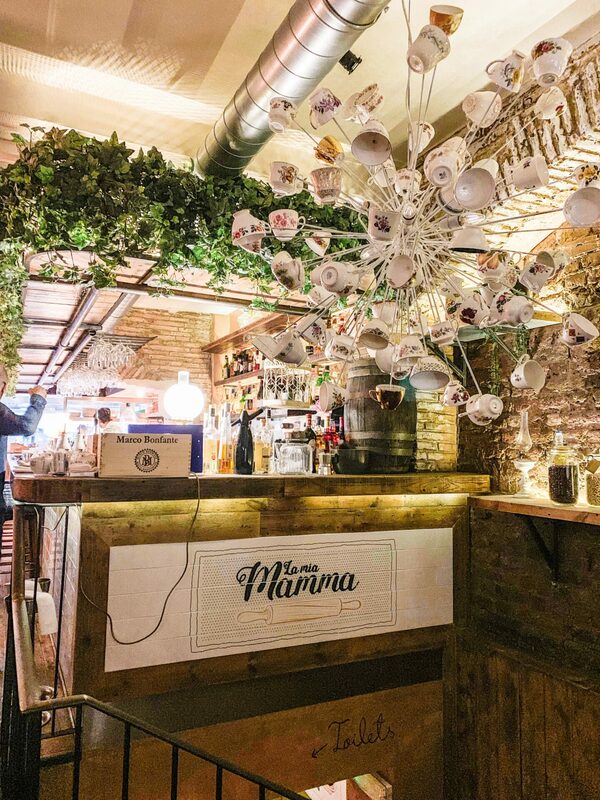 Full of beautiful decor, La Mia Mamma has a cosy, homey feel that makes you want to stay forever. The Mammas serve up food from a different Italian region every three months, and we experienced Emilia Romagna when we visited. 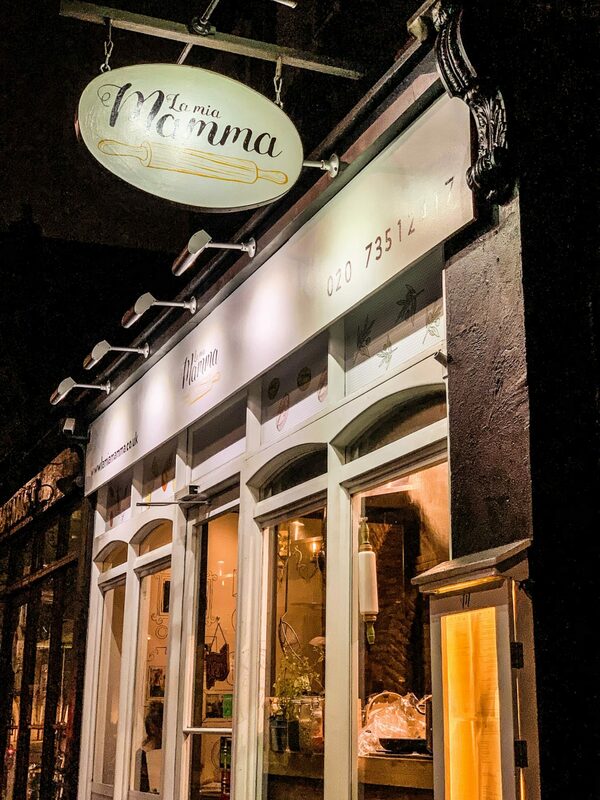 We opted for Mamma’s Menu to have the true tasting experience of antipasti to share (which varies depending on Mamma’s mood), pasta of your choice, dessert and espresso – all for £28 per person. Excellent value for money for an incredible experience and the best food out of Mamma’s kitchen! First up was the antipasti – a huge selection straight from the kitchen, most of which I had never heard of before, and all of which was delicious. There’s no option to choose – the Mammas serve you up whatever they fancy on the day. Meats, aubergine, potatoes, mushrooms and other tasty bits. All of which disappeared very quickly! Next up was the pasta course, with a few varieties for you to choose from. 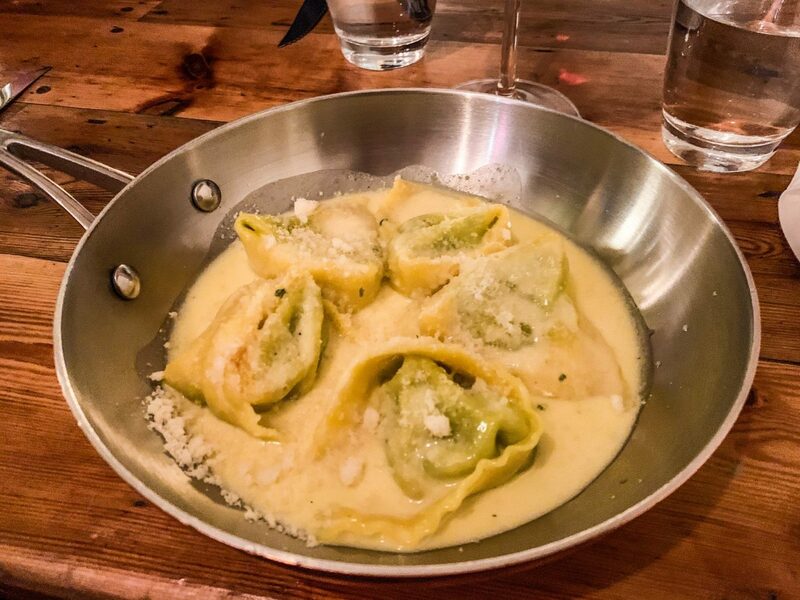 I opted for the “Tortelloni ricotta e spinaci” – Ricotta cheese and spinach filled pasta in a butter and sage sauce. Delicious, creamy, full of flavour and the perfect portion size. 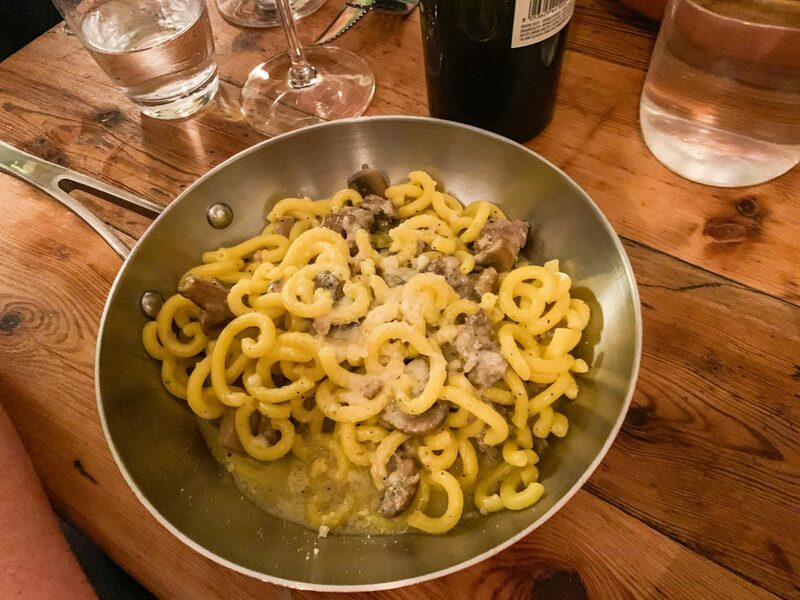 T chose the “Gramigna salsiccia e funghi” – Short squiggly tubes of pasta with sausage and mushroom, a lesser known dish which is very popular in Bologna’s homes. I love the idea of squiggly pasta, and it was incredible. I loved that the dishes were all so simple, and yet so tasty. 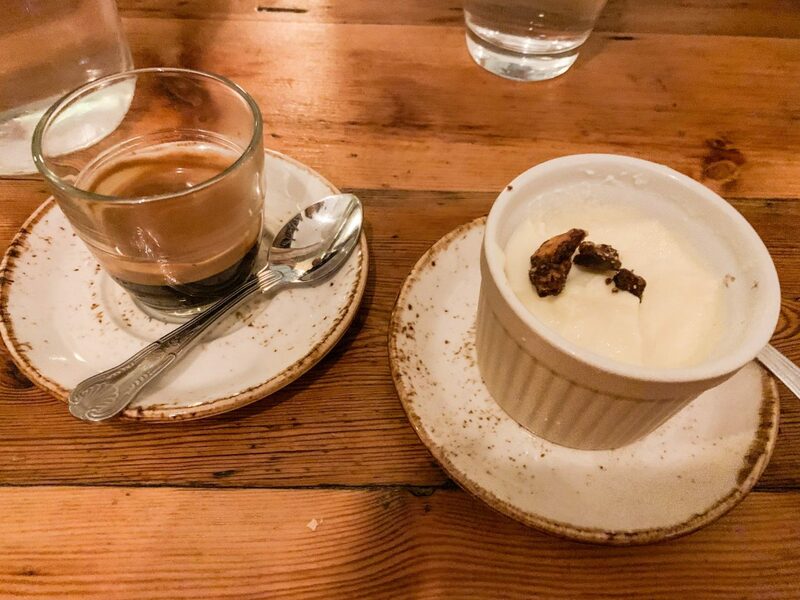 Dessert & espresso – an excellent ending to a real Italian feast. A ricotta mousse (unique, creamy and decadent) and some seriously strong coffee. An evening to remember, with truly excellent Italian food. A must if you’re missing Italia! Find their website here. 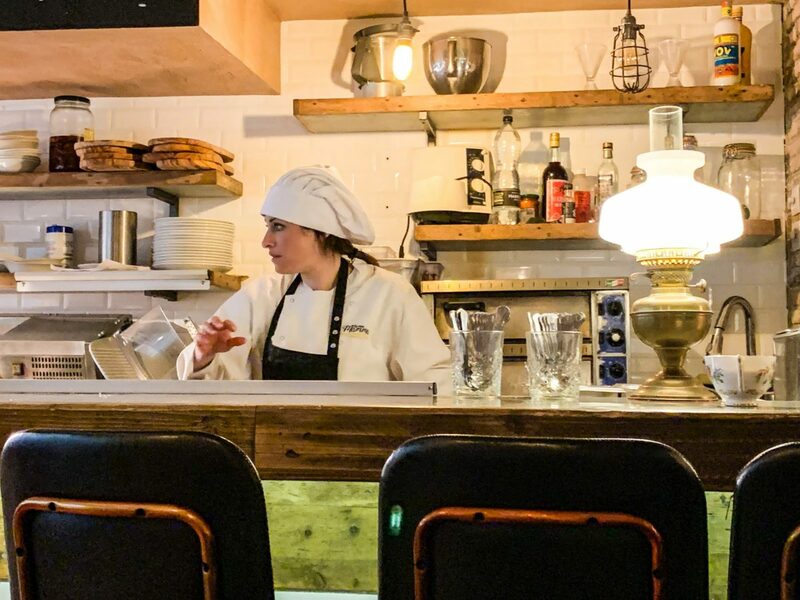 They’re on the Kings Road, so it’s the perfect spot to tuck into a real Italian feast after a day of shopping in Chelsea. They take bookings, so make sure you call ahead – it’s a popular place! If you do visit, I’d love to know what you think. La Mia Mamma looks like a delicious place to check out! I LOVE how the interior is set up. I am a sucker for the wall flowers. The meat and cheese board looks DELICIOUS! Glad you enjoyed your time there!